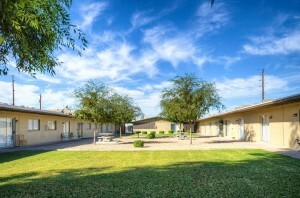 Phoenix, AZ – May 11, 2017 – ABI Multifamily, the Western US's leading multifamily brokerage and advisory services firm, is pleased to announce the $1,370,000 / $59,565 Per Unit sale of the Gardens Apartments located in Glendale, Arizona. Gardens is a one story, garden-style apartment community which rests on approximately 1.2 acres. The property was built of block construction with pitched roofs and individually metered for electricity. The property boasts an attractive unit mix of 13 - 1 bedroom, 9 - 2 bedroom and 1 – 3 bedroom unit types with a weighted average size of 733 square feet. "Gardens offered the Buyer a number of strategic advantages," states Nathan Bruer, Vice President, who along with Ryan Smith, Vice President, were the lead brokers for this transaction. "First, the Buyer was seeking to expand their Phoenix MSA multifamily footprint, this acquisition marks the Buyer's 3rd purchase in Glendale. Second, the Buyer sees Glendale as a solid performing secondary market within the larger Phoenix MSA. In fact, Glendale lead the MSA, along with Mesa, with the highest y-o-y in average rental rate growth at 6.7% to $826, almost $200 below that of the MSA as a whole." "For reasons postulated by Nathan, Glendale is attracting more and more investors particularly those areas in and around Westgate and Downtown Glendale which is directly north of the property," states Ryan Smith. "The Seller was able to purchase the property in early 2015 and with mild updating and repositioning created a substantial value proposition for the Buyer. Unlike many areas of the Valley which have witnessed a veritable boom in multifamily construction, Glendale has witnessed only one new property come online during this current cycle. 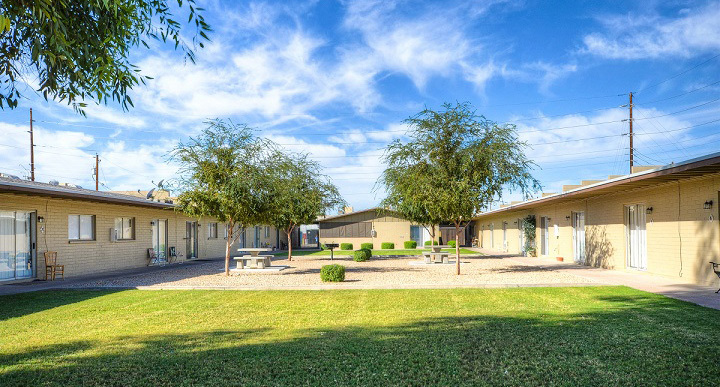 As more tenants are displaced by rapidly increasing rents on Phoenix's interior, Glendale is fast becoming a go-to spot for larger sized units with an affordable rent." The Buyer, Infinity BH Real Estate Investments, is a private investment company based in Florida. The Seller is a private individual based in California. The multifamily brokerage team of Ryan Smith, Nathan Bruer, Royce Munroe, Patrick Burch and John Klocek represented both the Buyer and Seller in this transation.